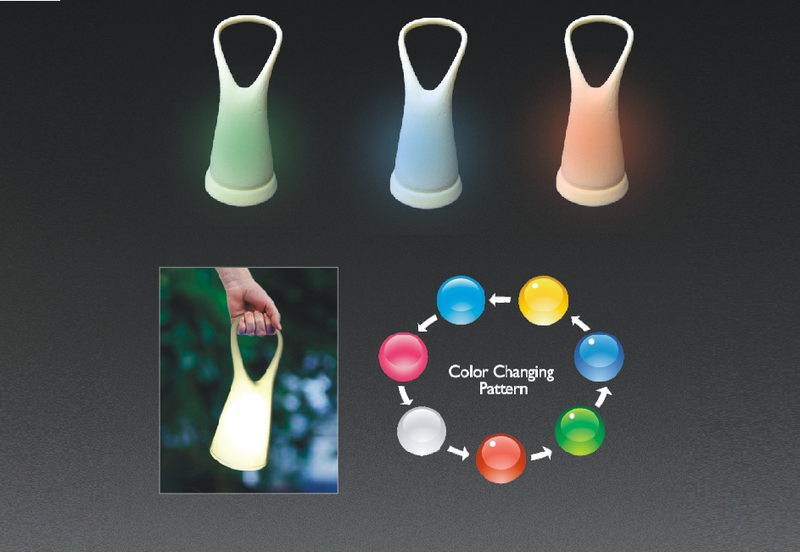 Smooth flood light and circulation of RGB color changing patterns. Simple stylish design by rubber material, as soft as the baby skin. Jelly - like material smoothly performs the light filled with warm atmosphere. Ergonomic wide and comfortable handle, easy carry, indoor or outdoor wherever. 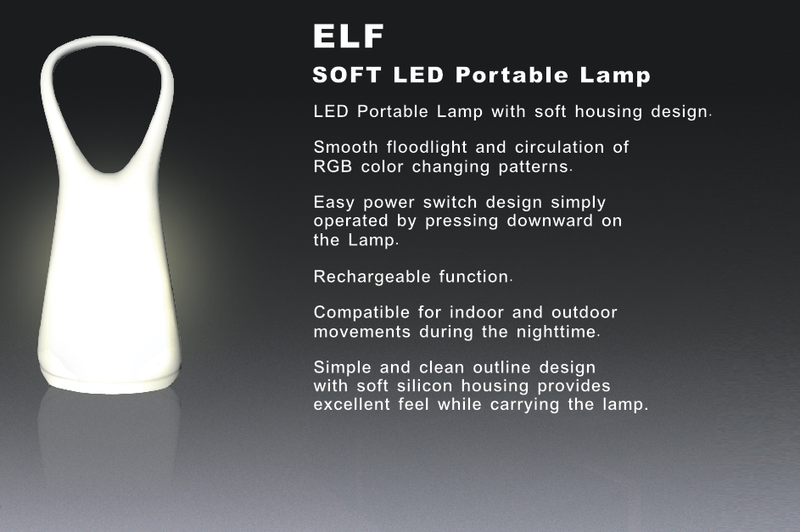 Hidden power switch, multiple activation by hand, adjust the light intensity instinctively. 1.By 3pcs Ni-MH Batteries.2.By AC Adapter W / USB Cord. 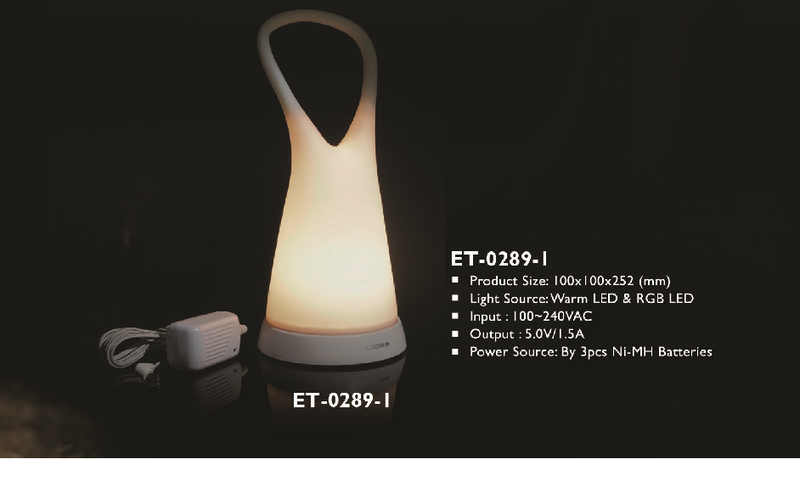 Power ON / OFF operation by pressing downward on the top of lamp. Batteries and release the power until 5 LUX at 1 foot.